I have experimented a little bit with Fujitsu RX300 servers. I have in my possession a S3, a S4 and two S5 servers. I have gathered some interesting factoids and ideas I wish to share. 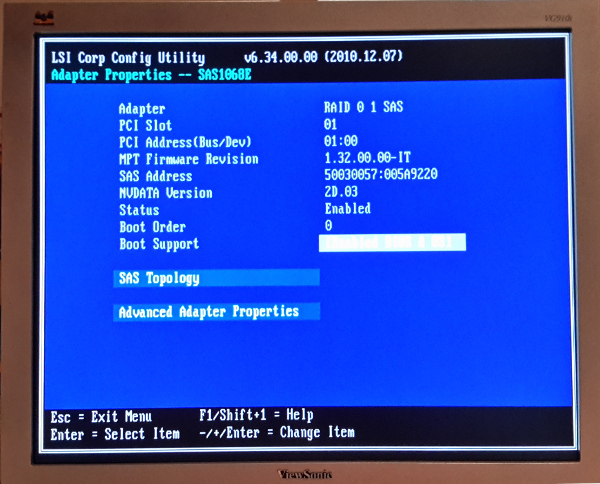 Snippet 1: troubleshooting RX300 S3 – I am using the particular machine for a small ProxMox installation. At some random time the server started to hang during the boot. The last BIOS code seen was “90”. In a random manual I found the information that “BIOS code 90” means disk controllers. Sometimes the machine succeeded booting but sometimes not. 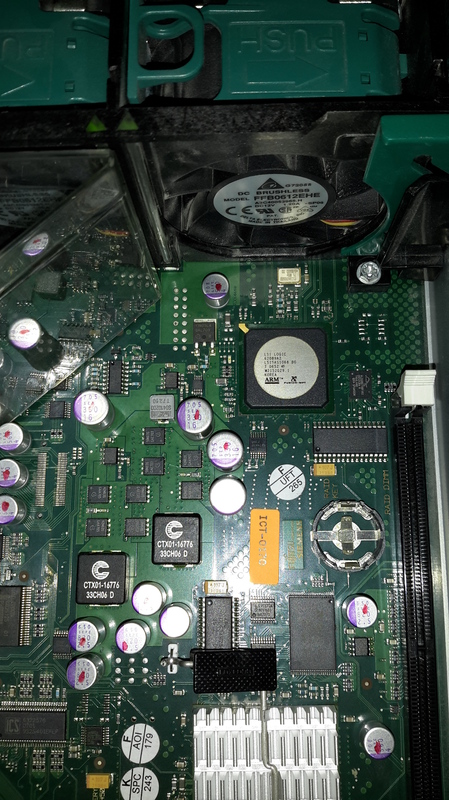 At some point it did not boot any more – it was hanging every boot.Well, thinking a little bit, I decided to open the cover, took the fan block off and looked at the disk controller chip. Everything seemed to be OK but there was too much of dust there. “Too much” in case of a a server means that it was possible to spot tiny dust collections under the fan block (my server room is not a conditioned cleanroom). The solution: I tested the big SATA connector by disconnecting and then conneting it again. I took a brush and cleaned the motherboard. I changed the CR2450 battery (albeit it surely wasn’t the culprit) because the voltage had been dropped onto 2.9V level). After these manipulations the motherboard started to boot correctly. Thus the dust seems to have been the main reason. take all DIMMS out and put only one DIMM in, into the position 1A. If you can, do use original Siemens-Fujitsu approved memory for the first DIMM. S3 is much more pickier about the very first memory slot. It is a fun – with some DIMMs the motherboard says that the memory is faulty and tells: “there is no memory available to the operating system”. Believe you or not, but should you hesitate and still push <F1> to resume, the OS will boot. However, only the first DIMM will be available to the OS, in my case a 2GB one. The verdict: the BIOS will claim some memories faulty while they actually aren’t. This sequential procedure seems to be the only way to clear from the situation where you have fulfilled all the slots and the BIOS claims memory faulty. The most embezzling issue for me is that S3 is not taking the M395T5750FZ4-CE66 memories while M395T5750FZ4-CE61 memories work well. 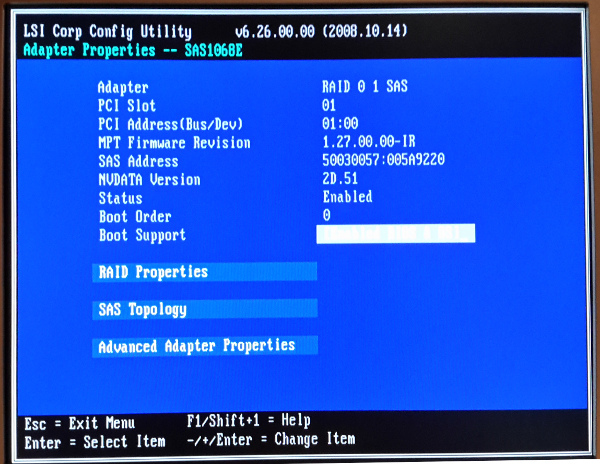 Snippet 2: exchanging RAID controllers under a FreeNAS installation. I set up a FreeNAS server on top of Fujitsu RX300 S4 hardware. The original controller was SAS 8708ELP (SAS1078). Because I was lacking the proper RAID controller, I used the original one to test the concept of the particular NAS. 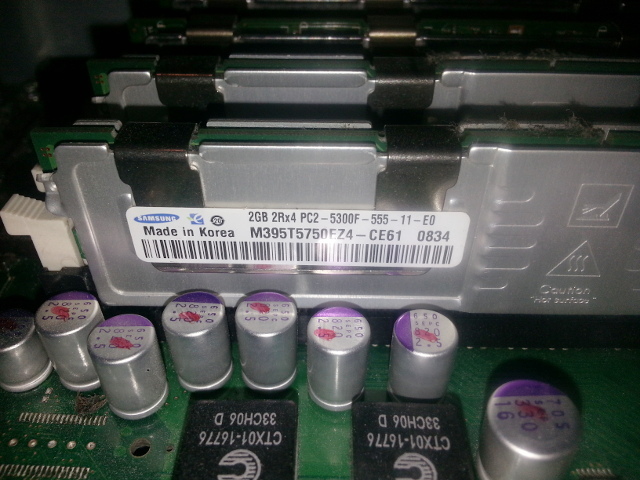 My previous blogpost was about changing the aged batteries on that SAS 8708ELP RAID controller . And then … I bought my M1015 that seems to be the de-facto standard for the lower end FreeNAS servers. I reflashed the M1015 into IT mode and everything went as expected. I changed the controller and connected my disks to the new controller. To my great surprise, M1015 in IT mode was able to recognize the disks together with the volumes and datasets on those. This way I hadn’t to copy the data again. I have not tried, whether the opposite is true too – i.e. 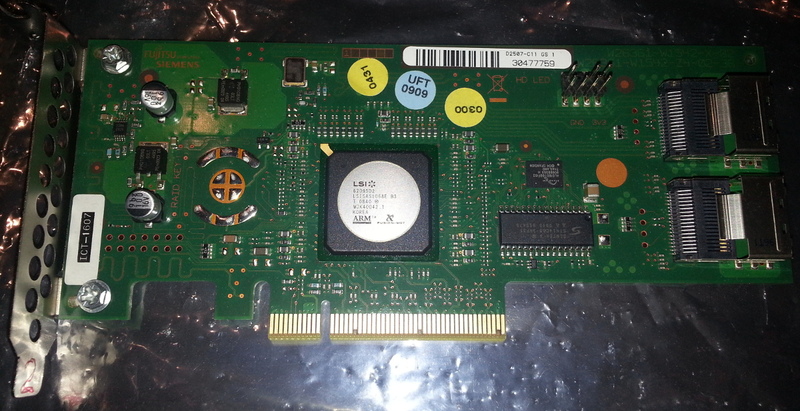 whether a “normal” RAID controller will permit to import disks that were previously connected directly (JBOD). Probably it does not – generic RAID cards tend to “initialize” the disks. I hope the piece of information will be useful for someone – that it is possible to read your “HW RAID” disks via IT mode JBOD controller. Snippet 3. 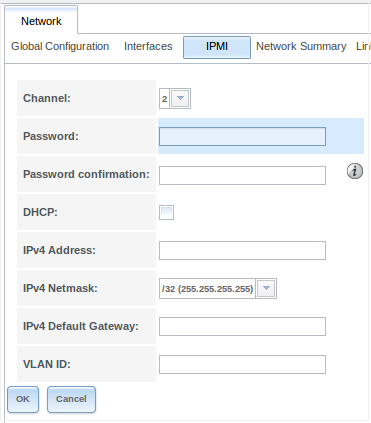 Pwning the IPMI. As one might know, S3, S4 and S5 servers are from 7+ years generation. It means – you cannot obtain these as new. And, it seems that corporate administrators mostly forget to erase the authentication information from IPMI chips. Leaving aside the obvious risks, for me it meant I could not use IPMI functionality because I did not know the proper password – admin/admin does not work. 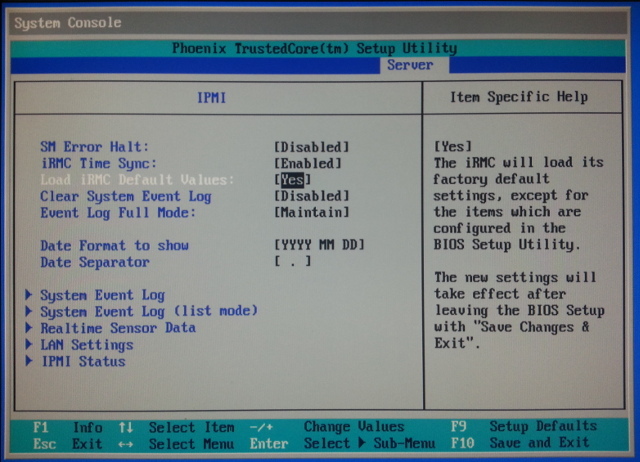 The obvious one – enter the BIOS menu (see the pic above) and load iRMC default values. Unsuccessfully this method is available neither for S3 nor S4. Use the Linux IPMI tool as indicated by Thomas Krenn . However, it is extremely unbelieveable you have got the enterprise class server with the disks and that means – no operating system, no IPMI drivers. But keep reading, there is a more elegant solution than to use floppy with ipmiview utility. Hack it over the ethernet wire. The IPMI module for RX300 S3 was insecure enough, thus I followed the Rapid7 FluffyWabbit instructions . The Pwn was a perfect one. After that, open the ServerView WWW page and you are done. I never had an idea that a FreeNAS installation can be useful as an instrumental tool. GUI fans could try the new functionality available at FreeNAS 9.3 GUI – a special menu item under “Network” menu called “IPMI”. To tell the truth, on the S4 I had a little trouble using this menu. The result was shown “IPMI failed” while the utility was still able to overwrite the netmask value at IPMI settings (a bad choice for the default value of the netmask). Thus I would recommend to use that new FreeNAS functionality somewhat cautiously. It is very evident that IPMI 2 devices cannot be trusted due to their orif1ces widely open. Please hide those old servers into a separate Ethernet segment behind a firewall and do use VLAN tags for the God’s sake. However – I like IPMI. I like to look at the temperature and amperage values 😉 . 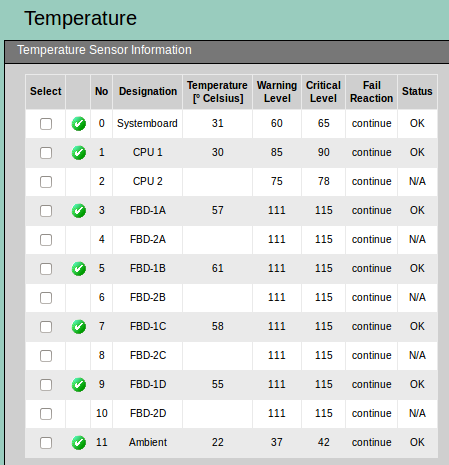 Snippet 5: I am currently playing with the idea that I should reflash the SAS1068E clone on the RX100 S3 motherboard. As with any experiment, there is the risk to brick thingz, this time the whole motherboard. After I’ll get done, I write about the outcome.